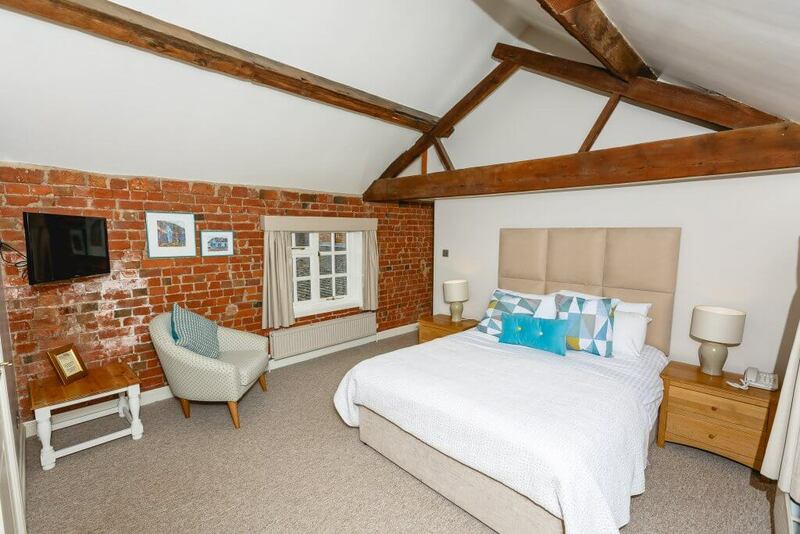 Donington Park Farmhouse is found on the Leicestershire/Derbyshire border between Castle Donington and Melbourne and is afforded stunning views of Breedon Hill and surrounding areas. The property has changed a great deal over its long history, spanning back more than 400 years. The original farmhouse has had numerous additions including an army building, built during the Second World War, that now hosts its stunning wedding breakfasts. The first wedding was held at Donington Park in 1984, and the hotel pride themselves on being the favourite venue for weddings in the region. The staff are warm and friendly and all occasions are catered for. On offer to guests dining at the hotel, is a fine variety of own grown and locally sourced ingredients, including Venison from its own Deer farm and beef from its own farm. The hotel is very environmentally aware and in 2013 won a “Green Footprint” award being the Greenest Business in the district for its initiatives including Natural Reed-Bed Waste Management, Solar PV Panels, Biomass Heating System and conscientious recycling. Genius Hub called as part of a local marketing campaign. Having a Biomass Heating system already reduces the cost of heating and has had a positive effect on the environment. Installing a zoned heating control system improves both factors by reducing the amount of heat wasted and therefore reducing the volume of fuel needed to produce the heat. Guests are catered for with the ‘personal touch’ element that is particularly beneficial for wedding guests who generally check in earlier and use the rooms differently to the business guests. Management of individual room temperature has been down to housekeeping manually turning down radiators, that is a hassle and time consuming on such a big site. Current owner, Jack Shields, tells us that their heating engineer Tom was concerned in the beginning that the site was “far too complicated to retrofit” the zoned heating controls because of the variety of wall mounted electric heaters, wet and electric underfloor heating and wet radiators. The payback period was also important. The information and proposal received following the free survey together with case studies alleviated any initial concerns about the reliability of the Genius Hub system and the go ahead was given by the board. Adding a state of the art system is necessary to achieve further energy efficiency and improve guest experience. Genius Hub offered the room-by-room heating control that is controlled by a simple app. The scope of the project led to what Jack referred to as a “tricky” installation because of having to freeze all of the radiators in the main hotel – no less than 42 in the main building, but, it got better each day and we are “very happy now we have the system in” says Jack. He adds that Genius Hub are a “pleasure to work with” and have been “very communicative throughout the whole process”. The system is monitored and controlled online, but Jack tells us he prefers using the app on his phone, as “it’s so easy to use”. Previously, rooms were heated all day, even though they were empty or left with heating off and guests then entering cold rooms. Genius Hub also identifies and automatically shuts off the radiator when the window is open, this means that Genius Hub can offer at least 30% energy savings, but it all depends how it’s used – savings are higher when rooms are left empty for several hours. Donington Park Farmhouse is at the forefront of energy efficiency and is a well-known wedding venue in and around the region, guest perception is very important. The ability to prepare a guests room specifically for them provides an enhanced level of customer service. Jack tells us that he is “very happy” with the system and working with Genius Hub. He is looking forward to receiving the guest reactions in the years to come. A small & beautiful Castle Donington hotel converted from an old farm, the perfect venue for meeting rooms and rustic weddings.